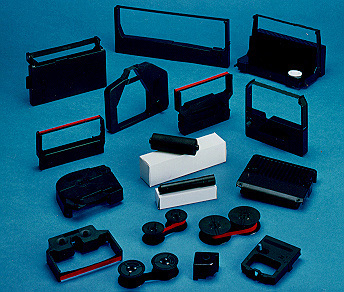 Premium Quality 1A001B101 Black Printer Ribbon compatible with the Tally Genicom T1025/ T1050. The use of compatible supplies does not void your printer warranty. Premium Quality 1A3000B01 Black Printer Ribbon compatible with the Tally Genicom 3460/ 3470/ 3480/ 3570. The use of compatible supplies does not void your printer warranty. Premium Quality 23358 Black Printer Ribbon compatible with the Tally Genicom MT 300/ 330. The use of compatible supplies does not void your printer warranty. Premium Quality 3A0100B02 Black Printer Ribbon compatible with the Tally Genicom 3800/ 3810/ 3820/ 3840/ 3940/ 930/ 935. The use of compatible supplies does not void your printer warranty. Premium Quality 3A0100B03 Black Printer Ribbon compatible with the Tally Genicom 3800/ 3810/ 3820/ 3840/ 3940/ 930/ 935. The use of compatible supplies does not void your printer warranty. Premium Quality 44829 Black Printer Ribbon compatible with the Tally Genicom T2030. The use of compatible supplies does not void your printer warranty.